This knife kit features a genuine Russell Green River 5" blade. 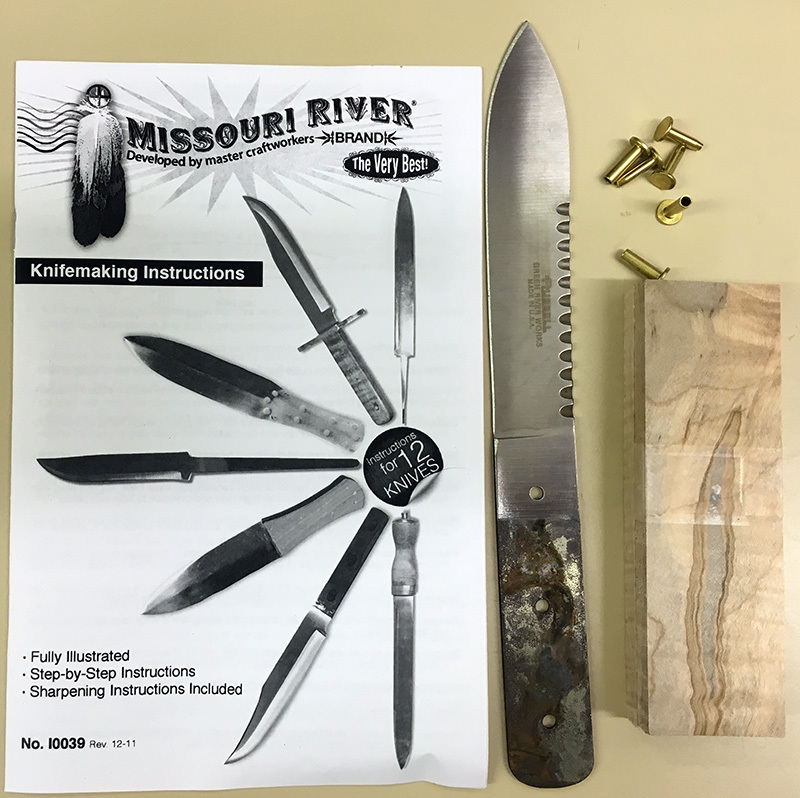 Kit contains a set of premium curly maple scales, cutler rivets and an illustrated instruction booklet on knife making. This kit is one of the easiest types of knife to make and require little time and few tools.